Boys in our Books welcomes Jaime Reese to discuss book 3 in her The Men of Halfway House series, “A Restored Man”. This week, I release the third series book titled A Restored Man. I’m often asked…Why a halfway house? For some, a halfway house offers a turning point in life. A chance to make things right and take a different path than the one previously chosen. Also, I’m a sucker for a misunderstood or broken hero. I couldn’t imagine a more fitting setting for second chance stories. The core of this series is rooted in second chances – at life and/or love. Each story focuses on a different couple, and I try to write each book as a stand-alone. The common element that ties the books together is the halfway house. The characters aren’t necessarily residents of the house, but they may have crossed the threshold or have interacted with a resident, and that encounter affects the direction of their lives from that point forward. Each story chronicles their journey and how they fight like hell—together—for their happily ever after. Then comes the most common question – which is my favorite character? Oh my. Can readers make it any tougher? I love my main characters and many of my secondary characters as well. Before I start writing a single word, I make it a point of knowing every tiny detail of each of my guys. Not just their personality or the way they look, but the sound of their voice, their swagger (because yes, characters like Cole have swagger LOL), and their ‘tells’ when they’re happy, sad or angry. I have a relationship with each of these beautiful men before I write the first word. I truly love them all. They are each extraordinary and strong in their own way – then again, I wrote them, what else am I going to say? :) Julian will always hold a special place in my heart because he inspired the series. Matt is a nurturer and has a giving heart with an endless fountain of patience and understanding my incredibly complex and stubborn Julian needs. Cameron has a fierce inner strength that can only be paired with Hunter’s iron will. Cole, I just want to hug him. He’s a bundle of energy and has an unfiltered mouth that embarrassed me a few times while writing him, but he’s exactly the unrelenting fighter Ty needs to awaken and restore his spirit. All my men are strong and love hard. They are often sweet and protective. They each have distinct personality but they all share one common trait – they love their partner fiercely and are each stronger as a result of that relationship. In their stories, they encounter obstacles, but they work through them – together – until they reach their happily ever after. 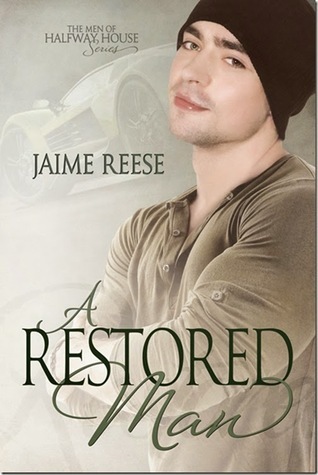 The third book titled, A Restored Man, features Cole and Ty battling to overcome personal struggles and trying to find their place in the world after a life-changing event. It’s a character-driven story that focuses on the two men, their relationship, and how they provide the balance each other needs in their life. The title applies to the automotive component of the story and mirrors the change that happens to each of the main characters as a result of their relationship. In essence, there are two restorations that take place in the story. In the beginning, Ty is working on a project to restore a Yenko Camaro—a rare, vintage car. When Cole first sees the Yenko, it’s a rusting heap of metal off to a corner. But Cole clearly sees the underlying beauty and power of the car – just as he can clearly see Ty’s true strong character beneath the surface, struggling to break free. Little by little, they work on the car restoration while Cole also works on restoring Ty’s inner strength with his no-holds-barred personality. They each fill the void for the other and both learn that the person who truly loves you will see past those traits you consider to be a flaw. I’ve been wanting to read this series for ages. The two first were already in my TBR list. I’ve just added the third. Don’t mind the angst, love the laughter and tears comment and tears? I’ll get the tissues ready! I have wanted to read this ever since the first book came out, I have to find the time! I loved book one and have hoped since book 2 came out that it would be available through ARe, but no? I’ve read such good reviews about this series, I’m going to add it to my TBR list. Thanks for the chance to win! I absolutely love this series! The stories of Julian and Matt (A Better Man), Cameron and Hunter (A Hunted Man) are wonderful but there is just something extra special about Cole and Ty (A Restored Man) that makes their store my favorite so far. Read the first and really want to read the other 2! I love the cover of the book and I’m looking forward to reading the new book. CONGRATULATIONS Kim! You are the winner of our Men of Halfway House giveaway! Please contact us at boysinourbooksblog@gmail.com to claim your prize! This it the BEST m/m series EVER! i haven’t read these yet!! I’d love the chance!! You guys are all awesome! <3 THANK YOU so much for stopping by and for wanting to try out the series by entering the giveaway. And a huge thank you to those of you who have read and are sharing the love. I too believe in second chances. Both my nephews are actually living their 2nd chances. Sometimes you life veers from what you thought it would due to choices or just bad luck. Thanks for a chance to win. LOVED the first two and cannot wait for the third book!! Thanks for the giveaway!! Somebody is going to be very happy. These stories give me a fuzzy warm feeling. I love the concept of second chances for each character and look forward to reading the whole series so far. Love the first two books in the series and am looking forward to the this book! I have heard really great things about this series and would love to read them. I love this series! Can’t wait to start A Restored Man! I need to get this series! I’ve heard such great things. Thanks for the great post and chance to win! I absolutely LOVE this series and Cole has wormed his way into my heart. I would love to win this series! I really need to start reading this series. All the books sound quite good. I just finished the series so far, and I love it!!!! Can’t wait for the next one! 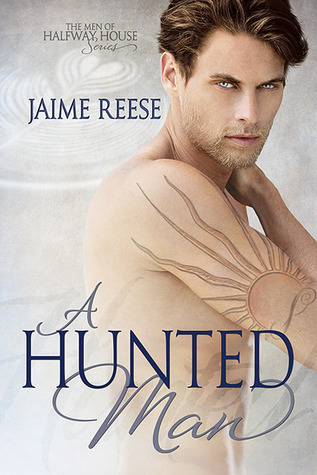 This entry was posted on February 18, 2015 by BioB in Blog Tour, Giveaway and tagged giveaway, guest post, jaime reese.